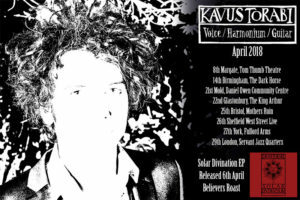 See Kavus perform some solo dates in April with voice, harmonium and guitar. 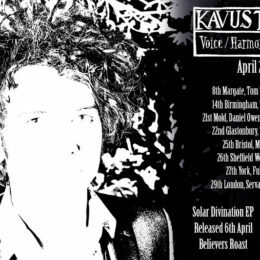 He’ll be carrying copies of his solo EP, Solar Divination. (Out on 6th April).